In this day and age if a business does not have a website they are losing on great opportunities. It is unfortunate to see so many small businesses not using this marketing strategy help them grow their business. Small business owners believe they are saving money by not investing in a website, but instead they are hurting their bottom line. Now days people go online to research products and companies before buying and if your business doesn’t have a website they assume you are a small business and/or not a serious business. Perception is everything and not having a website creates a red flag in people’s mind, if they cannot find you they fear your business may be closed, does not exit, or may be a scam, even if they are not buying online. 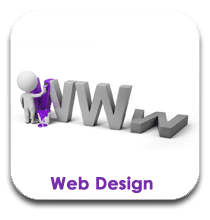 A website is a single domain that consists of different web pages. A website gives your business an online presence and can even make your business look bigger then it is, it gives smaller companies an opportunity to level the playing field. Your website is your main and most basic web presence; it is your online storefront conveying your brand to the world. 58% of global online consumers said they are more likely to trust a company with a site versus one with no website. Even the older demographic, 55 years old and over are now active online. This means by not having a website your business loses on opportunities and money. Do not lose on any more prospects and profits, make the commitment to get a website done professionally. Capture a wider range of opportunities by simply opening your business to bigger and better things a click away. Contact our sister company for a FREE web consultation, click HERE.